A serious grilling experience calls for a serious grill. 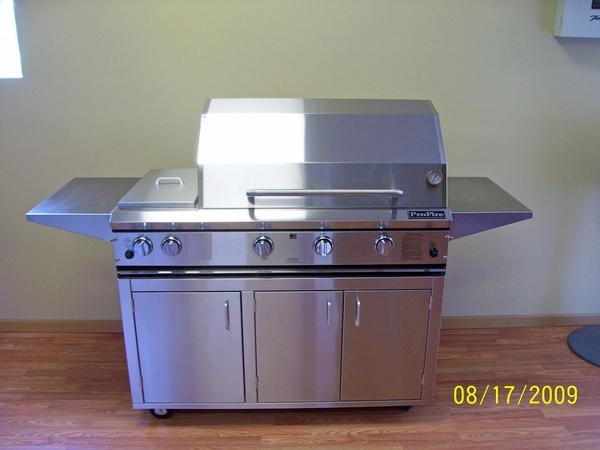 This stainless steel hybrid complete with not just one but two 9" x 14-3/4" infrared lifetime burners has all the components for some serious and spontaneous special occasions. With the dynamic advantages of the 2 in 1 Professional PF Series, you can fire up and start grilling within 60 seconds, grill at 32,000 BTU without messy flare-ups, and produce the perfectly grilled juicy meats within minutes. The additional convenient cart, steel flavor plate, 5/16" cooking grids, and smoker tray complete the array of advanced tools for the serious commercial-grade grilling experience.